American Bar Association International’s Fall Meeting is one of the world’s most important gatherings of international lawyers. 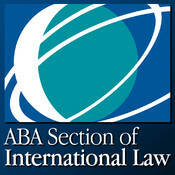 ABA International is the home within the ABA for the world’s leading international practitioners. Last year’s Fall Meeting in Miami, Florida welcomed over 950 attendees from 52 countries. High-level practitioners with the largest and most respected global law firms. Lawyers with the most prominent regional and national firms inside and outside the U.S.
Small-firm and solo practitioners with significant international practices. Lawyers serving in government or with non-governmental organizations and inter-governmental organizations; and academics. It is a “Must-Attend” meeting for lawyers with a practice or interest in international legal issues. WHAT WILL ATTENDANCE AT THE 2013 Fall MEETING OFFER YOU? Networking opportunities with counterparts, decision makers and potential clients from around the world who are active in international practice areas. Special programming for young lawyers, law students, and legal educators. Tuesday, Welcome Reception at the House of Lords. Friday, Chair’s Closing Reception at the London Hilton on Park Lane. Visit exhibitors of dynamic products and services for the legal profession. Low registration rates for both individual and group attendees . For more information about group registration rates, please contact Michelle Mattingly at [email protected]. You can register after that date, but you will not be able to register online. A special nightly rate of £249.00 plus applicable daily tax per room for occupancy have been reserved. Reservations may be made online at http://bit.ly/10wdxwc. The number of rooms available at this special rate is limited and subject to selling out, so early booking is recommended.